Home>Articles>What is permanent life insurance? Permanent life insurance spans a few different types of policies, including both whole life insurance and universal life insurance. They typically have a component of cash value, and this cash value will grow over time. It can be used to pay premiums or to take out loans from the insurer. Permanent life insurance policies tend to have much higher premium rates than the more commonly purchased term policy. Term life insurance is generally considered the better option for life insurance for most people. That said, if you need life insurance coverage that lasts your entire lifetime, and have the means to pay the premiums for it, it can be a fantastic way to protect your loved ones financially. Permanent life insurance policies are defined by the coverage they provide; the plans last for the entire life of the policyholder, as long as the premiums are paid. Regardless of when you pass away, be it the week after receiving the policy or 50 years after, the beneficiaries listed in your policy will receive a death benefit. The cash value component that many permanent life insurance plans have is similar to an investment account. Once the account is large enough, policyholders can withdraw or borrow money from it. Some permanent life insurance policies can also pay dividends to the policyholders that hold them. These are offered by mutual life insurance companies, which are owned by their policyholders. If the insurer brings in more money than is spent, the profits are distributed as dividends. Be aware that the cash value component of a permanent life insurance policy is not passed along to your beneficiaries, the death benefit of the plan is separate. There are a number of types of permanent life insurance policies. The differences between these policies include how premiums are paid and how the cash value of the plan grows. The premiums for a whole life insurance policy stay the same for the entire length of the policy. The cash value for this policy grows at a guaranteed rate. For universal life insurance plans, the maximum and minimum premiums are set in place, but you are able to pay any amount between them. Premiums can also be paid using the policy’s cash value. The cash value of a universal life insurance policy grows based on the performance of the market. There is, however, a minimum annual return. For variable life insurance, the premium costs depend on the policy. They can either be level, or they can vary. In this type of insurance plan, the policyholder can choose how to invest the cash value from a set of options, similar to mutual funds, provided by the insurance company. Another type of permanent life insurance policy is the indexed universal life insurance policy. The maximum and minimum premiums are also set for this type of policy, and you can pay any amount between them. You can also pay for your insurance premiums using the policy’s cash value. An indexed universal life insurance plan has a cash value that is attached to the performance of an index, such as the S&P 500. While there are annual returns in this type of policy, there is also a guaranteed minimum annual return. For variable universal life insurance policies, the minimum and maximum premiums are set in place. You can pay any amount between these two things, and you can also pay premiums using the policy’s cash value. With variable universal life insurance policies, the policyholder can choose to invest the cash value from a set of options similar to mutual funds. Lastly, there is a guaranteed universal permanent life insurance policy where the premiums remain level for the entire length of the policy. These types of plans tend to have little or no cash value. Another key note is that some insurance policies are sold with a maturity date that is tied to your age. If a policy reaches the maturity date listed on the plan, and you are still alive, the insurer will pay a lump sum of money to you and of the coverage will cease. The money paid can be the policy's death benefit, its cash value, or another amount that is determined and listed in the plan. The most significant difference between permanent life insurance policies and term life insurance policies is that term policies only provide insurance coverage for a fixed period, often 5, 10, 15, 20, or 25 years. The second significant difference is that term policies do not have a cash value component attached to them. This makes term life insurance policies less expensive. It also means that if you live beyond the term of the policy, you will not receive any benefit. Some term policies renew for the same term at a higher rate. As people get older, their financial obligations tend to be reduced significantly. Because of this, term life insurance is often considered the most suitable choice. Being a low-cost option has its benefits. Financial obligations that term life insurance can provide for include children's education, income replacement, student loans, and mortgages, among other things. For life insurance policies that are obtained for these things, a term insurance policy may be a better fit. These expenses are paid off over time, so the finances from the payout of the policy will not be needed forever. If you have considerable financial obligations that are not time sensitive, such as estate taxes and significant medical expenses for loved ones, a permanent life insurance policy may be a better fit for you. Many professionals say that a permanent life insurance policy that has a cash value component mostly only makes sense if you need both lifelong coverage and have an extensive investment portfolio that you want to diversify. The underwriting components for both term and permanent life insurance are similar. One of the main differences is that guaranteed acceptance life insurance policies are only available with permanent coverage. Another similarity for both policies is that they are paid to beneficiaries free of income tax. Permanent life insurance does have a few additional tax benefits that term coverage does not. 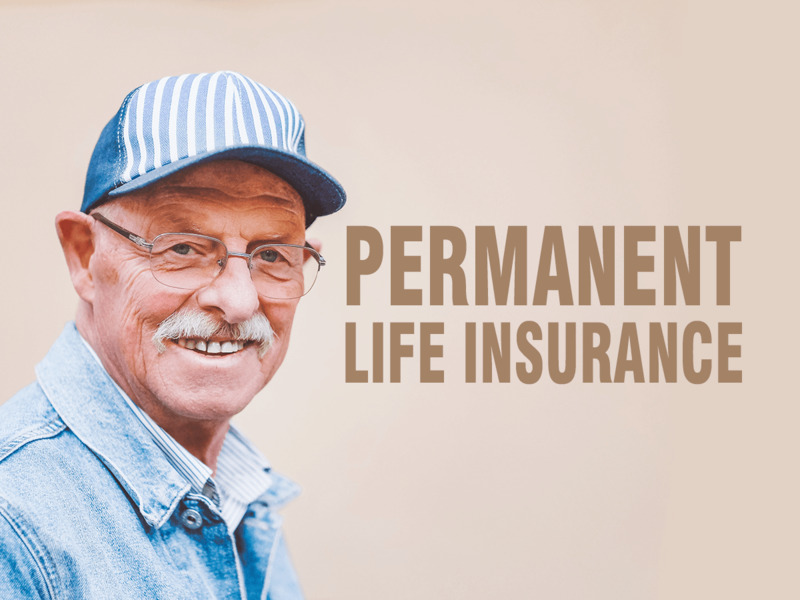 For some people, permanent life insurance policies are hugely beneficial, though for most term life insurance is a better option. Research the types of policies, and keep in mind that a General Insurance agent is happy to help you select a policy that can best fit your needs.